Singer, Songwriter, Dancer, Choreographer and Model – AnnMarie Fox, has had the love of music flowing through her veins from birth. With over 2 million views on YouTube, she has also earned local, regional, and international award wins and nominations. AnnMarie is the 2012 recipient of the Online Music Award for Best Pop Act which included Jermaine Jackson, TLC, and Ace of Base as presenters. She was also the recent recipient of the IMEA Award for Pop Entertainer of the Year, and in 2016, she was nominated for the Southern Entertainment Award for Performance of the Year. AnnMarie Fox has just freshly dropped her latest single, “Land Ain’t Lovin Me”. 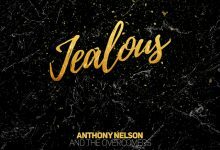 That there is a climate of uncertainty and disenchantment in America has been clear for some time now, and in recent months and weeks, these sentiments have been arriving to me via tons of music releases. I doubt it gets much more explicit than that, in any language. Listening to this song, one can feel the heartbeat of passion, emotion, and affection in it. AnnMarie Fox serious about what she’s singing. Sometimes it’s the tracks with lower expectations that are the most surprising or yield impressive results. And this is the case with “Land Ain’t Lovin Me”. The track by no means attempts to rewrite the script of adult contemporary Pop or R&B, but what it does do is serve as a prime example that the well-rounded, honest and direct approach of its execution has tremendous appeal. 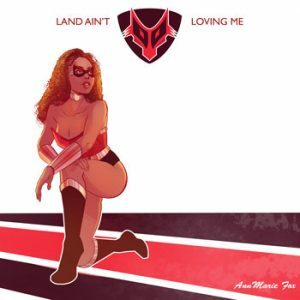 “Land Ain’t Lovin Me” is a solid piece of work and AnnMarie Fox should be proud of this project. You can tell what she was trying to do with this song and she was able to accomplish that completely. Furthermore, she decided to stay away from all the glossy effects and studio trickery, sticking to her performance strengths and because of that, she will no doubt solidify her spot as one of the most promising Pop and R&B singer–songwriter’s out right now. AnnMarie Fox’s serious and dedicated approach to her craft should get radio, music video channels and fans immediate attention!